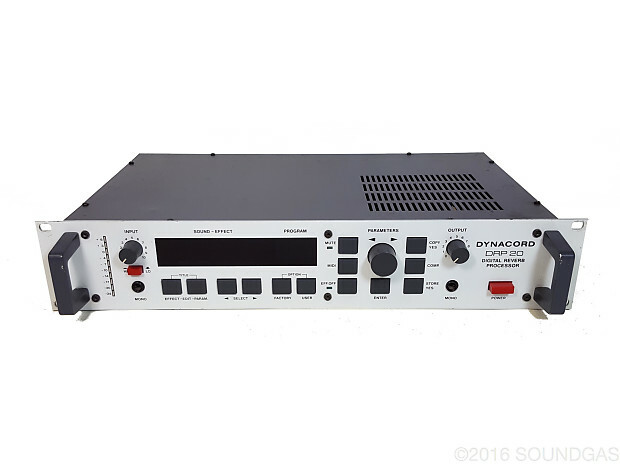 Rare 80s, high quality stereo digital reverb. From the same era as the classic Lexicons and if you want that sound then this will make you very happy (and happy in stereo, which is very happy indeed). Excellent condition with only minor marks and signs of age. VAT: There is no separate VAT charged on this item (so the price is the same inside or outside the EU). We ship tracked and insured with couriers for fast delivery. Smaller items may be sent by tracked/insured airmail. We can ship all over the world via UPS: please get in touch for shipping rates. We are based in the UK and have many years' experience sourcing, servicing and shipping delicate vintage gear worldwide. You can rely on us to pack your item with care, and deliver swiftly by international courier with full tracking and insurance. You get all the usual rights and our extra guarantee of complete satisfaction. Most of the vintage gear we sell has been freshly-serviced for optimum performance - where this is not the case it will be clearly stated in the listing. Everything is checked, tested and then tested again just before we ship, and our packing is the stuff of legend. For more information see the FAQ section of our website.